Borgo Panigale, January 2016 – Ducati unveils the draXter, an addition to the XDiavel cruiser world. But unfortunately – it is a concept bike. But it gives a hint where future designs might lead to. And: We really appreciate this development. 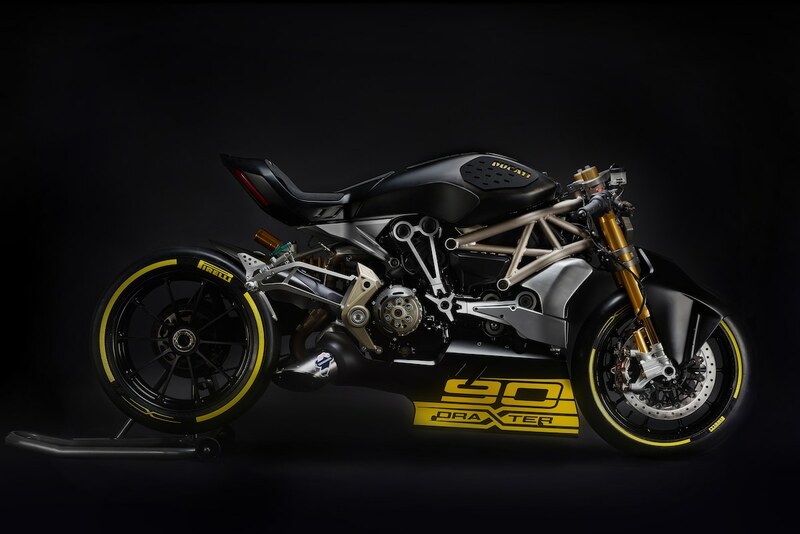 Ducati claims that the new concept bike combines the very best of a dragster with premium racing components. And the draXter of course has supersport influence since the suspension and brakes are directly taken from the Panigale superbike. 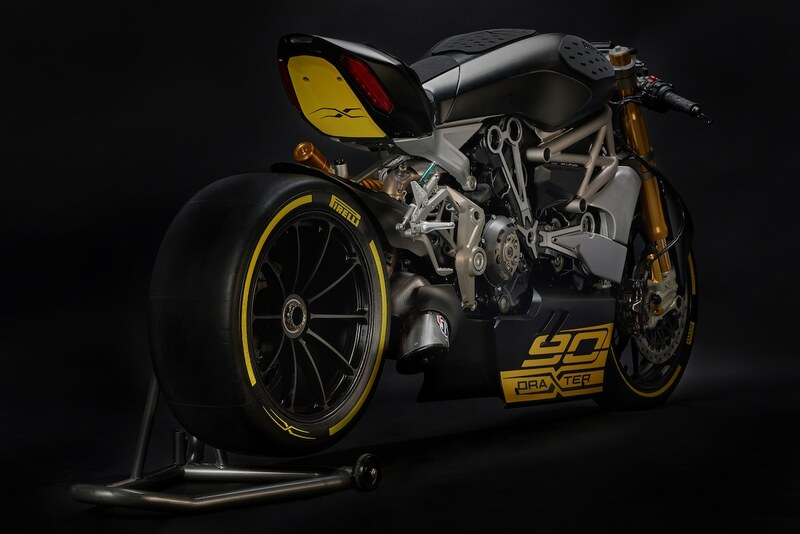 The number 90 on the side of the Ducati draXter recalls the racing world, yet also pays tribute to Ducati’s 90th anniversary, which is celebrated this year.